As a resident of the City Beautiful, I can attest that there’s life outside the theme park bubble. In fact, downtown Orlando has thrived over the past few years, thanks to a revitalized culinary scene as well as several new sports and cultural venues. 1. See a show in a stylish venue. 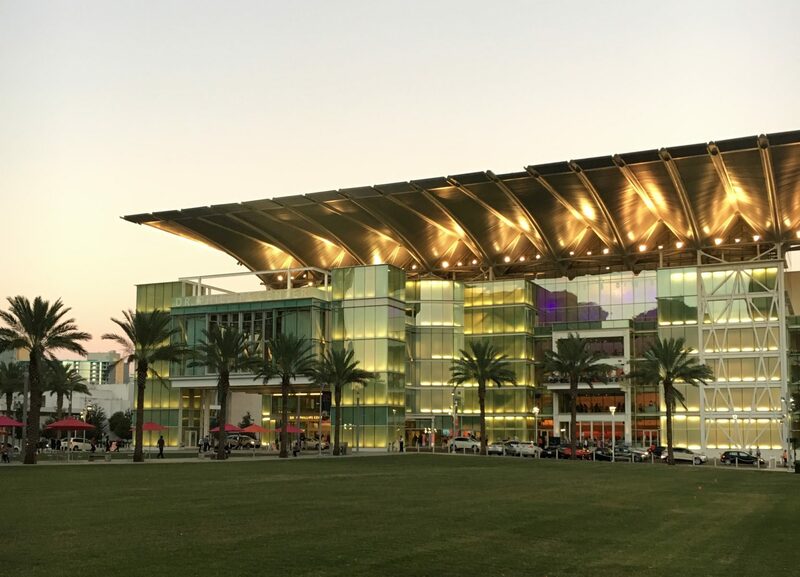 When I arrived at the Dr. Phillips Center for the Performing Arts to see a concert, the venue itself nearly stole the show. I’m usually not a fan of modern architecture, but I was blown away by the center’s sleek yet inviting design, inside and out. The building heavily features glass, wood and natural light, with an eye-pleasing focus on circular motifs and open spaces. As for the show, it took place in the Walt Disney Theater, and I was impressed by the acoustics and the view, even from the cheap(er) seats. The performing arts center also hosts Broadway productions, guest speakers and more. It’s within walking distance from several downtown restaurants, so you can pair dinner with a show and enjoy the perfect night out. 2. Enjoy brunch al fresco. On mild days, I love to go to the Stubborn Mule and enjoy a meal while sitting on the patio. 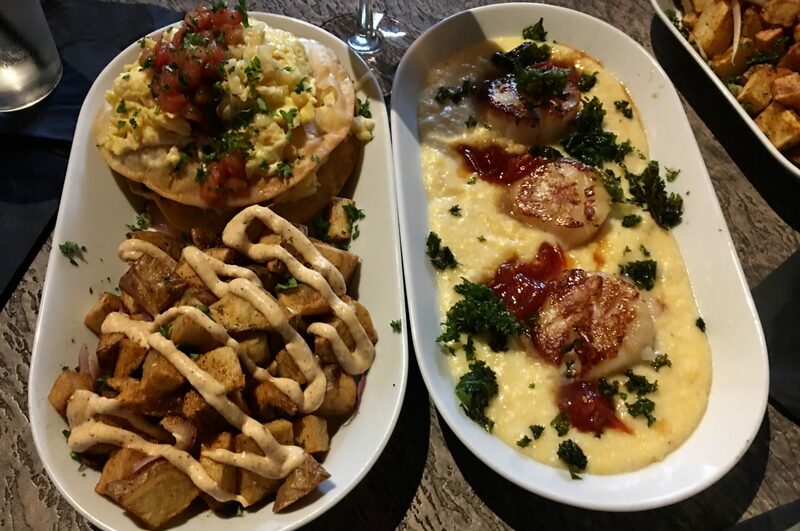 The restaurant on South Eola Drive offers a particularly excellent brunch, and it’s not just because you can enjoy bottomless mimosas for $10 (although that’s a plus). The food is a creative twist on classic brunch cuisine. I love the Mule Rancho, a crispy tortilla layered over blue crab, scrambled eggs, dill Havarti cheese, tomatoes and crème fraiche — with a side of tasty home fries. But my favorite dish is the jumbo sea scallops with smoked gouda, kale and cherry tomato grits. It’s so flavorful, you just might forget about your mimosa. 3. View the skyline from the water. 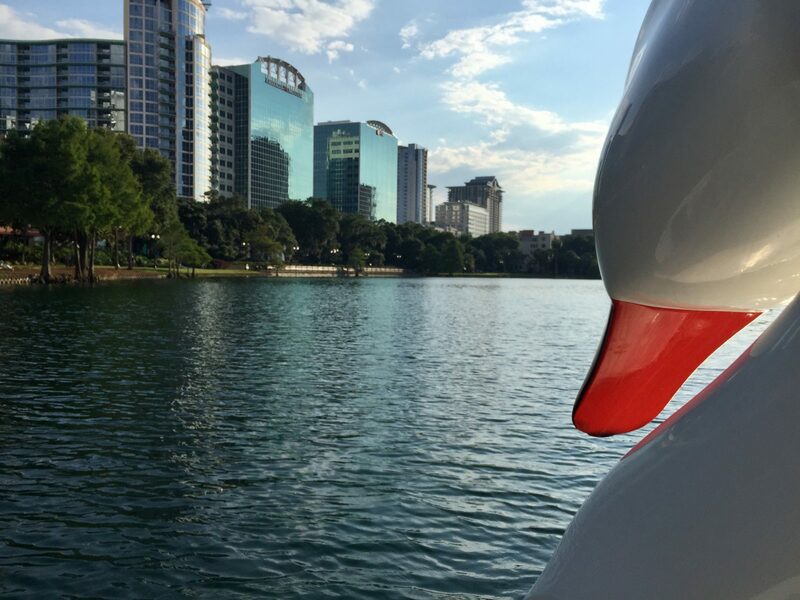 One of the best ways to view downtown Orlando is from the middle of Lake Eola. On nice days, I like to take a spin on a swan boat and watch the fish and turtles frolic in the water. At night and during the holidays, it’s fun to paddle across the lake as the lights create a magical backdrop. Just make sure to avoid the fountain — and the real swans, which are protected by the city. 5. Stroll through historic Thornton Park. 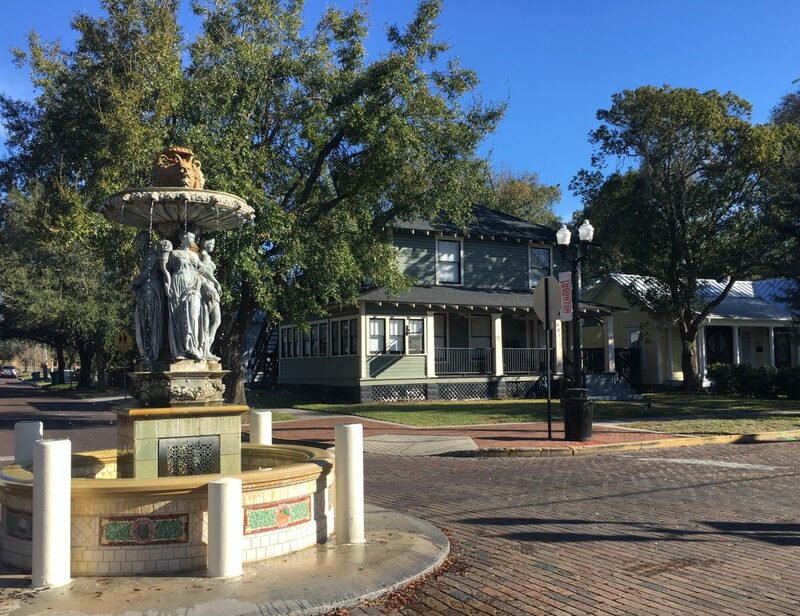 This charming neighborhood next to Lake Eola is known for its quaint brick streets, historic homes and leafy oak trees. The district is also home to a number of boutiques, restaurants and bars beloved by locals. It’s a nice place for a wander anytime, but particularly fun during special events and festivals. I like to go for the 2nd Thursday Wine and Art Walk, when you can sample drinks while listening to live music and perusing crafts by local vendors.